Before I left Manila last December, I have been hearing about this newly constructed gondola ride somewhere in Mc Kinley Hill, Taguig. My Instagram feed and Facebook are somehow showing a lot of photos of it recently. The view is so fantastic that I really wanted to check it out soon but my few days before my trip made me so busy that I wasn’t able to do so. Last night, I went there with my two brothers to see it. I was really having second thoughts as it is Sunday night, but Vincent my brother who have been there said it is worth it. I rarely go to Mc Kinley Hill because it is quite far compared to Market Market or The Fort. I’d like to know if we can ride and how much is it. It was one jeep ride for Php 11 only and it took us about 20 minutes to get there. 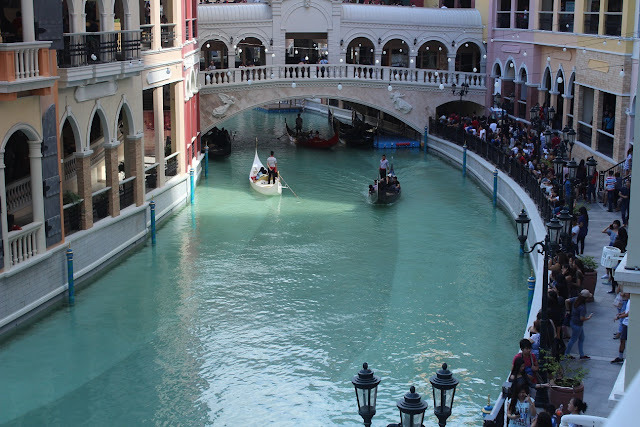 Venice Piazza Mall isn’t located in a main street unless you go there with a private car. We had to walk for about 15 minutes. The building actually isn’t new to me, I have seen this a couple of times but really didn’t know about it. My research says that Venice Piazza Mall has been operating since 2011 as an upmarket food hub. It is composed of 30+ restaurants offering different cuisines from around the world. It is basically a mall but unlike the giant of all the malls here in the Philippines, yes I am talking about SM malls, they got a hundred percent points from me in terms of architecture. 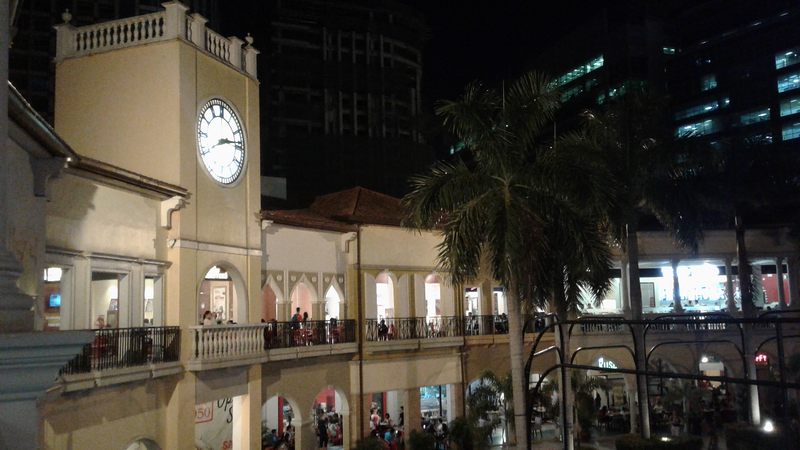 The building of Venice Piazza mall is a replica of the iconic St Mark’s Tower in Italy. 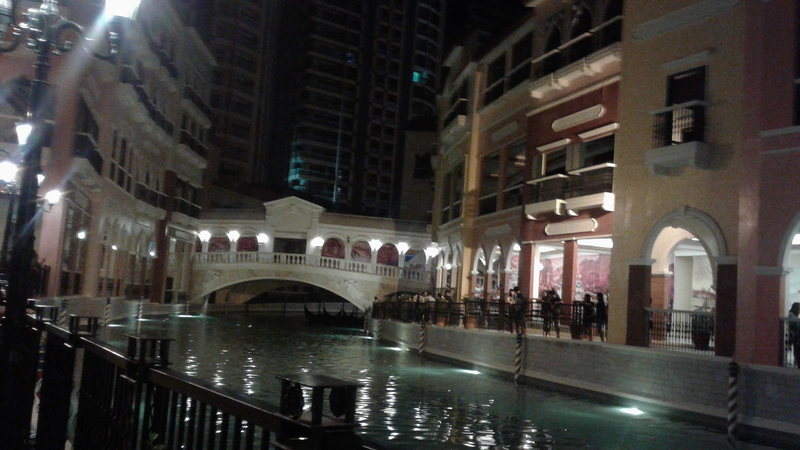 There’s also another copy of Rialto bridge inside that is worth a camera click. For so many years Venice Piazza Mall is never heard of at least to the general public of Metro Manila, for foodies yes as I see they have so much culinary delights to offer. 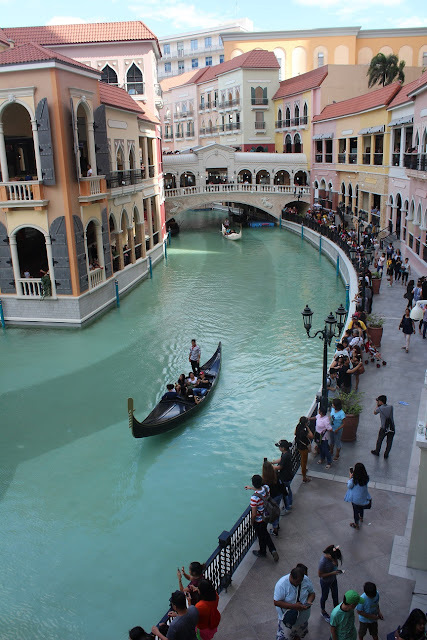 With the addition of this man-made canal set inside the middle of the ground floor meant for romantic gondola rides al fresco and surrounded by buildings, I am sure this would be the top attraction from now on. The food would always be the runner up for me. 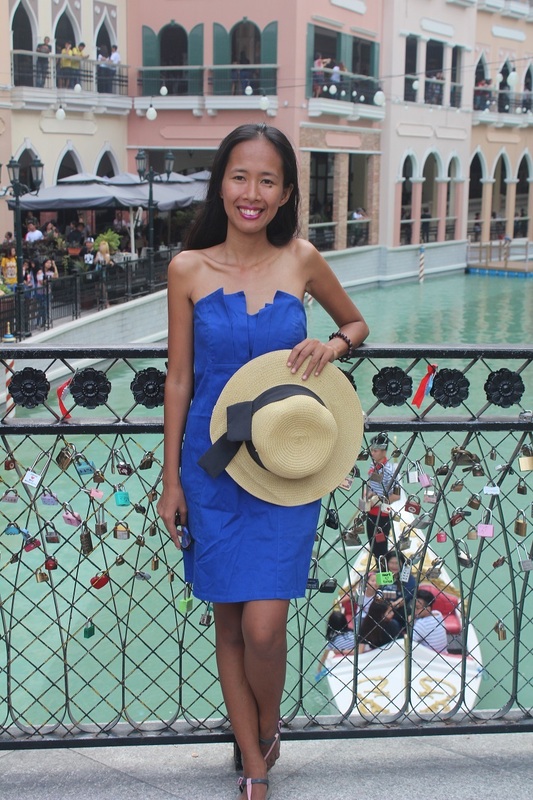 Mc Kinley Hill isn’t within the usual route for public transportation that one can just hop on then get off right in front of Venice Piazza Mall. If there is a Tokyo Tokyo restaurant in the mall nearest you that’s a walk away, would you still go to Venice Piazza Mall to eat in the same restaurant that would take you 20 minutes to get there? Going back to the man-made canal for gondola rides, we arrived around 8pm and Sunday night. The crowd is overflowing. 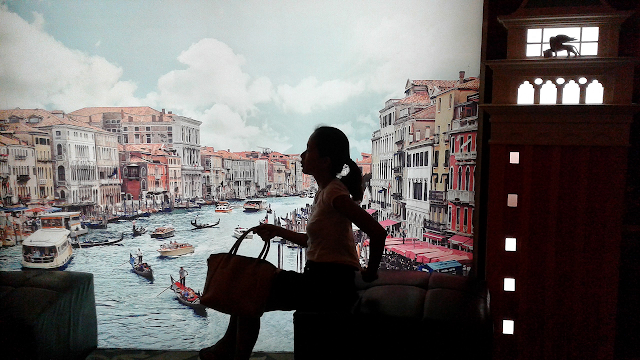 It is not offering any gondola ride at the moment so we just enjoyed the scene. It is as long as five swimming pools put side by side in my opinion. There’s an arch bridge in the middle that gives you a halfway view of each side. Again, there’s a lot of people that we are barely able to have a great photo of us. I hope it would be fully operational the next time we go there. I will update this post too. We didn’t eat in any of the restaurants because we were in a hurry but our hungry stomach can’t wait so we ate in the Sinangag Express just located in the overpass near Venice Piazza Mall. For Php 75 we ate a silog meal plus a Php 25 one tumbler of iced tea. When you get here, prepare to have at least a hundred pesos for your meal. I also notice that it is a good place for airplane - watching, when I went there, a couple of airplanes passed by though I can't see it because it is already nighttime. I am so amazed of how many people it attracts every day considering that it is still not yet done. I mean, how much more if the gondola rides would start? 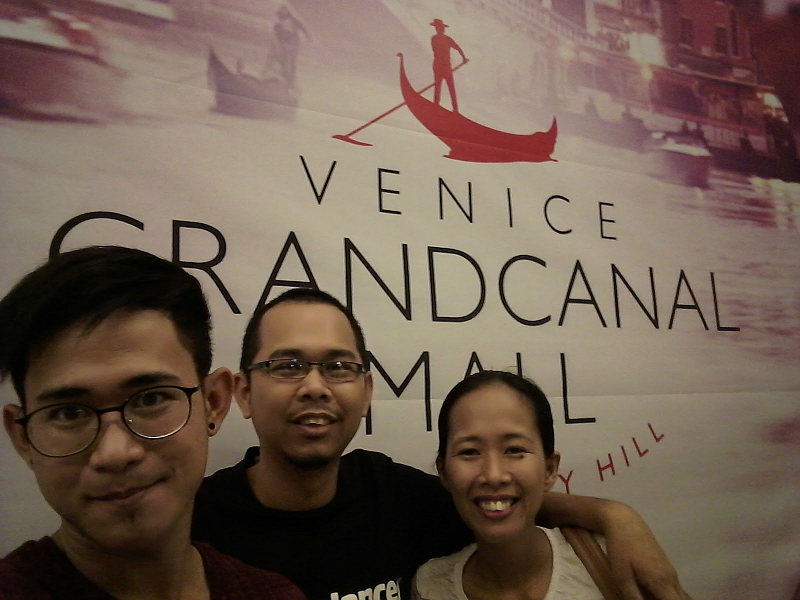 Right now, the official website of Venice Piazza Mall didn't mention the fee for riding a gondola via the man - made canal. Wifi is pretty fine inside the pantry though I don't see any difference of the prices of the meals compared to those restaurants located in front and here. If you want to know the directions to Venice Piazza Mall, you can click here.